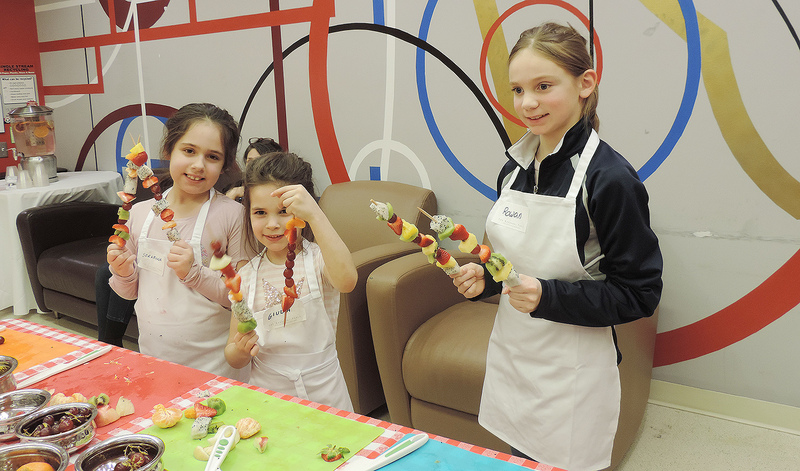 On Feb. 27, Bon Appétit invited the children of Wesleyan faculty and staff to participate in a culinary workshop featuring lessons in healthy eating and cooking. 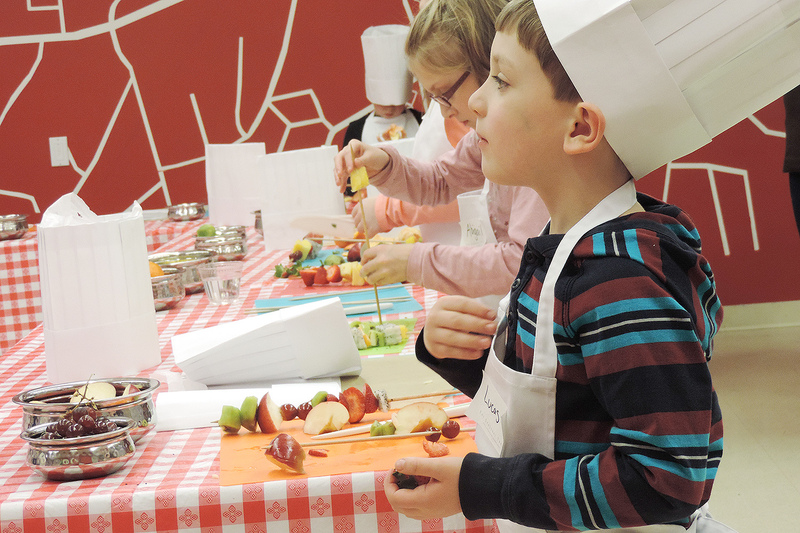 The culinary team demonstrated how fresh fruits and vegetables can be transformed into a healthy meal. 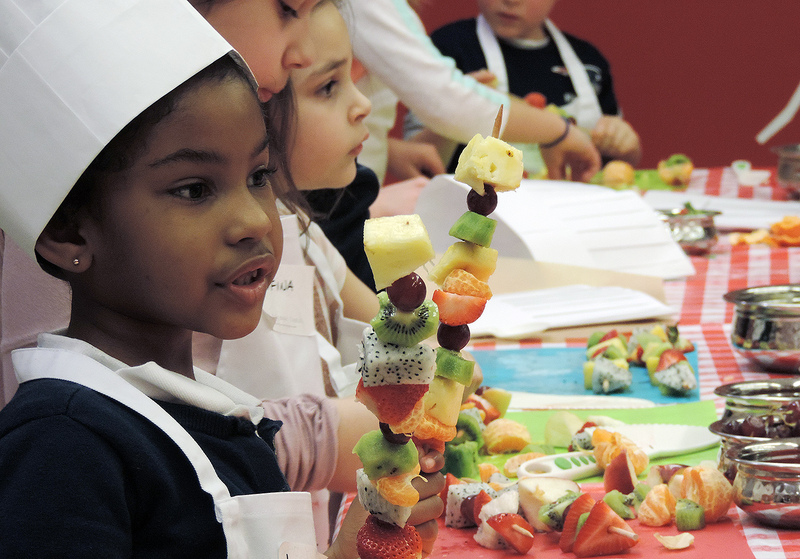 The children made pizzas and fruit kebabs, and learned how to properly use a knife for cutting. 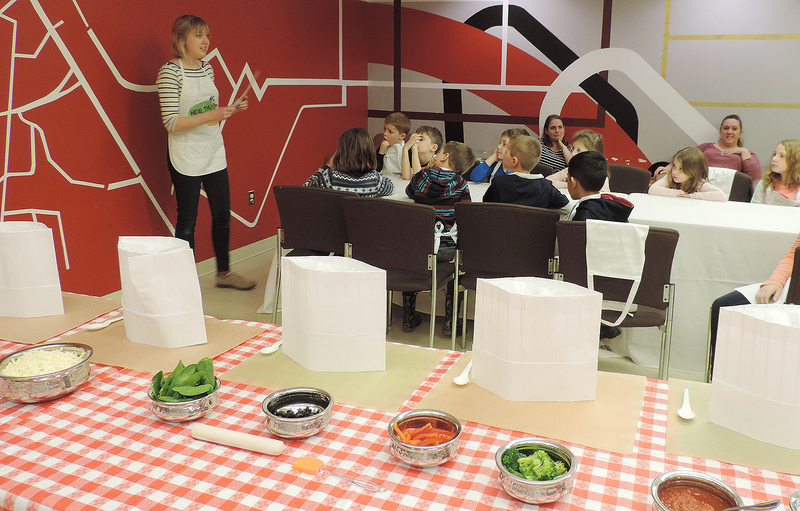 The children learned about healthy eating, food choices, and composting. 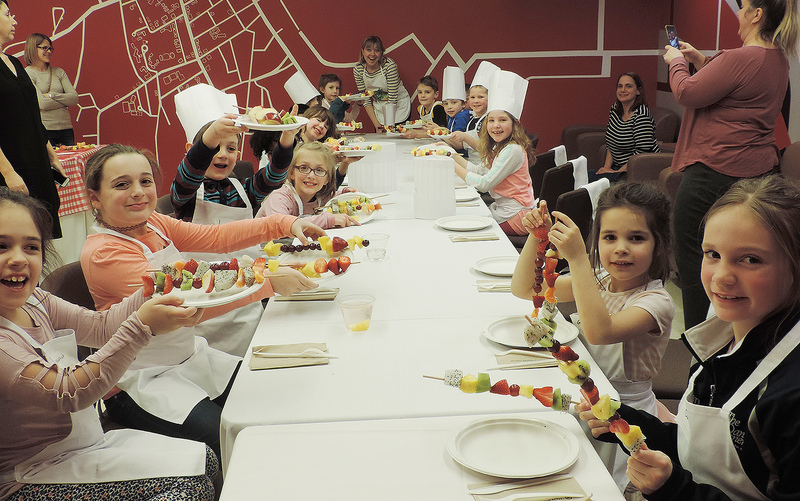 The workshop culminated in a colorful picnic. 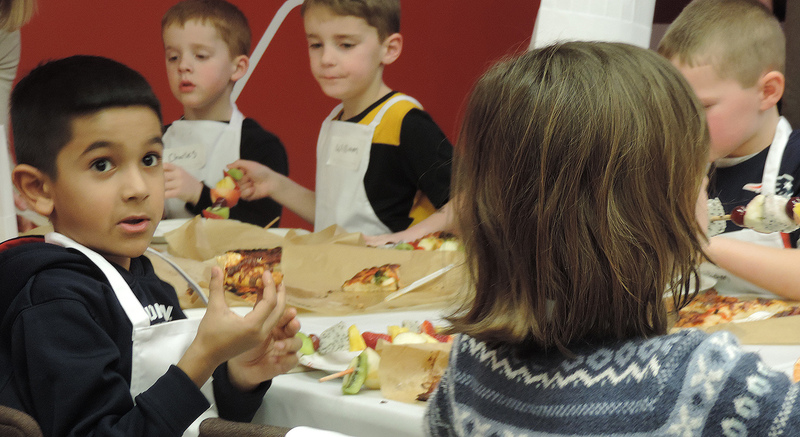 After cooking and dining, each child received a swag bag with a stuffed cardinal and a Wes picnic/tailgate blanket.